Walkabout is the original Australian brand, home of the party, great food and a relaxed setting to meet new friends. Australia is a wonderful place that influences all that Walkabout do. 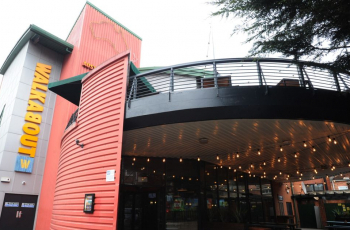 Walkabout Reading had a big refurbishment with a great new look! They are still the home of awesome parties, sports, great Aussie Tucker and Aussie Drinks! Watch your favourite team, or relax with a cold one… It’s all here waiting for you and your mates. So get ready for a chilled out...or a legendary night out - Aussie style! During the week they boast the most awesome sports experience next to being there, due to the heaps of plasma screen TV's and they now have amazing stadium style seating upstairs so you catch every second of sporting action! Once the full time whistle blows, they transform Walkabout into the best party venue in town. With VIP food and drinks packages and guest list services, which you can do from the website! Check out their events page to make a booking or get on the guest list for some great nights out!